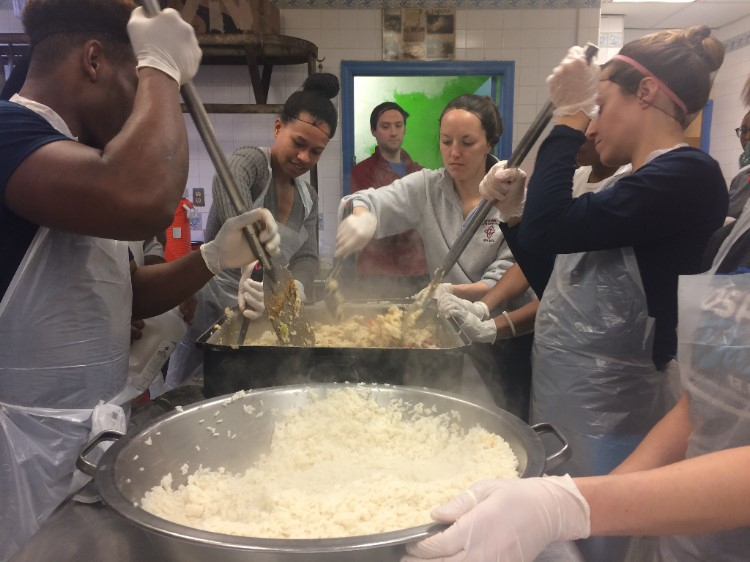 This President's day, the members of the Young Adult's from St. Stephen and the Incarnation (YASSI) joined in with many veteran volunteers to prepare and serve Jambalaya for Loaves and Fishes guests. Many thanks to the YASSI's who participated (Betty Cox [organizer], David Cronin, Andrea de la Torre, Mariel Fernandez, Ted Lynch, Nicole Martinez Moore, Emilia Nardi, John Payne, and Laura Popielski), and to all of the veteran volunteers and staff who showed the YASSI's the ropes! 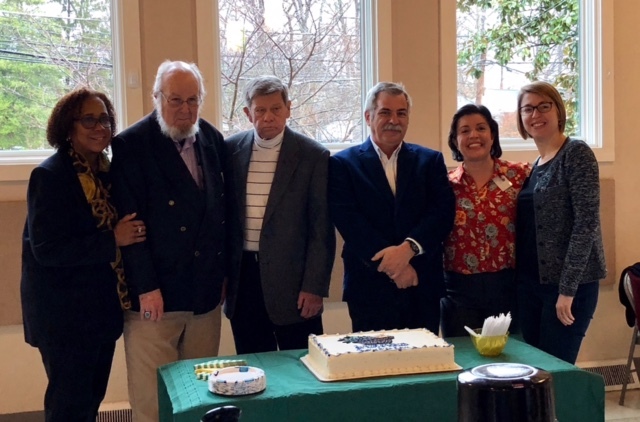 As part of the 50th anniversary celebration, Ed Grandi and Bill MacKaye from the Loaves and Fishes Management Board were invited to speak with members of St. Luke's Episcopal Church. 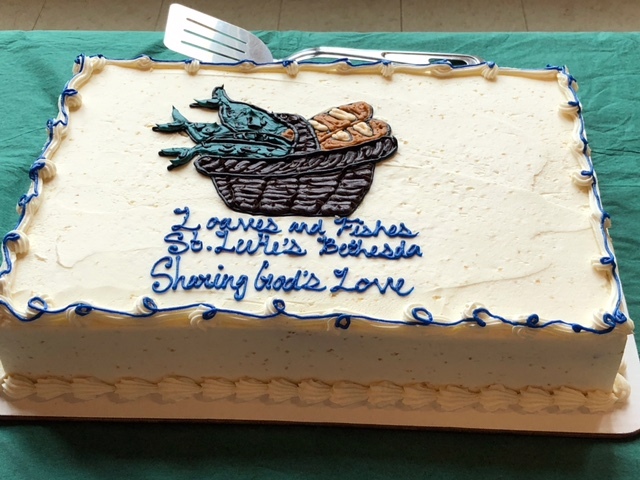 St. Luke's is a long-time supporter of the Loaves and Fishes Program. 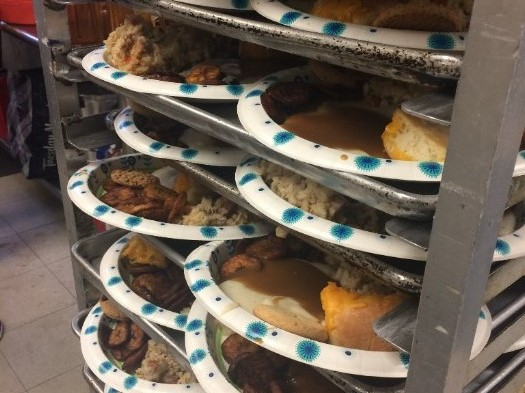 They supply financial support and send a group of volunteers to serve Loaves and Fishes guests the 3rd Sunday of each month. Many thanks to St. Luke's for their long time support, and for sharing a delicious cake! 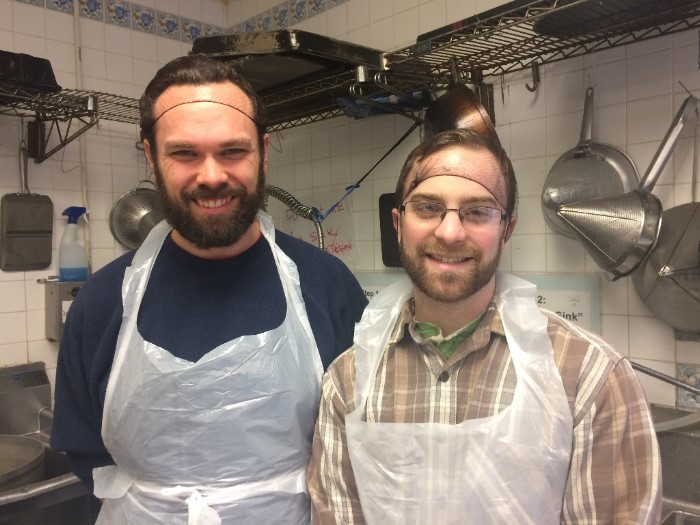 As many of you know, the Loaves and Fishes program was founded in 1968, which means this year is our 50th ANNIVERSARY! If you haven't read our story, you can find more details on the About Us page of our website. We are excited to celebrate the history of the program, our guests, and the volunteers who have helped develop and influence the program throughout the years. Be on the lookout for more information about our celebratory events throughout the year! We will send details through this newsletter, as well as from our facebook page and website.